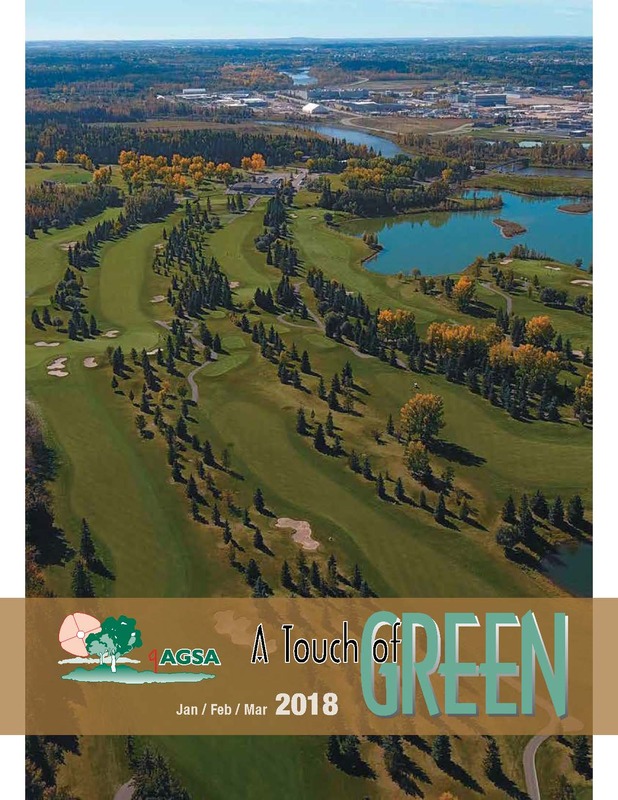 A Touch of Green is the AGSA newsletter published quarterly. 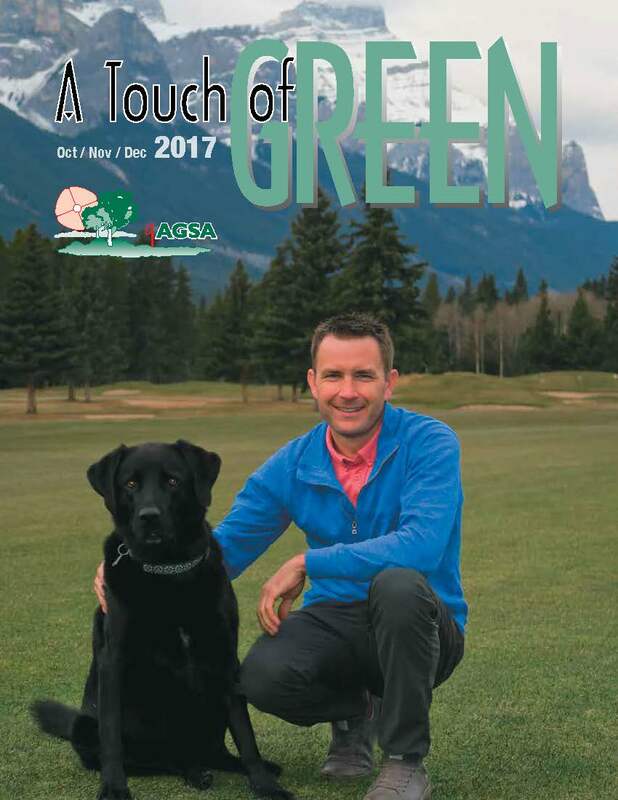 The newsletter is produced by local superintendents with an emphasis on information pertinent to the Alberta Golf Industry. Articles include local events, reports from our national body (CGSA), profiles of local superintendents, environmental issues, local research updates, and management tools that benefit the Alberta Superintendent. An archive has been set up in the Members Only Section that allows easy search methods to obtain information from previous issues. 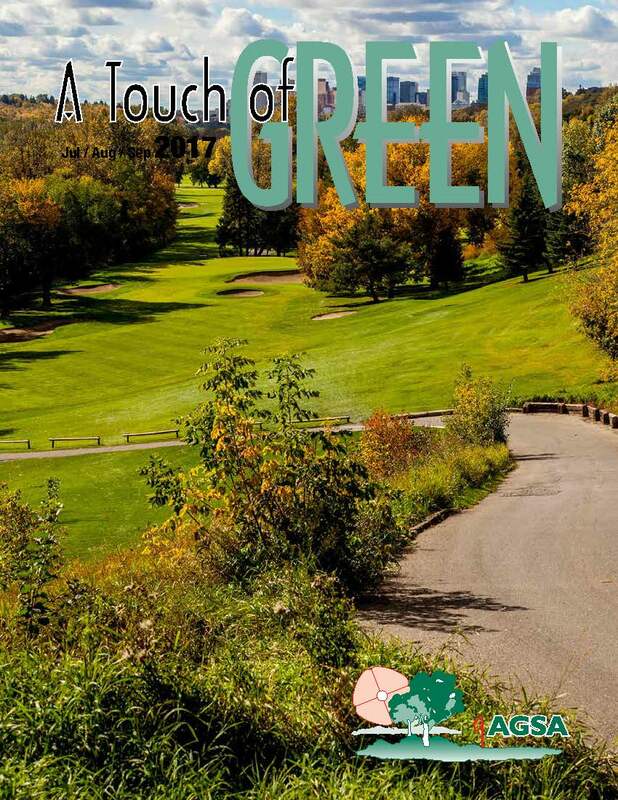 For Information regarding A Touch of Green please contact our office. Interested in contributing or advertising in our next issue? Please contact us.